From exquisite mountain panoramas to cheeky farmyard frolics and laid back Biergarten charms, Ellen von Unwerth’s Heimat is all about showing us a Bavarian good time. Over more than 400 pages, the world-renowned photographer returns to the region of her own teenage years to capture a posse of gorgeous girls on a fantastical tour through the region’s lush meadows, shimmering lakes, rich regional flavors, and deep fairy-tale forests. For each Heimat shoot, von Unwerth sought out traditional locations—old world barns, farmhouses, and mountain paths all but untouched by modernity—but set out to temper any provincial conservatism with her playful and provocative mise en scènes, brimming with tongue-in-cheek humor and subversive gender roles, as much as impressive cleavage. And when it came to dressing her models with a suitably cheeky, rebellious edge, von Unwerth found the perfect match. Since 1999, Munich-based Lola Paltinger has merged traditional German costume with glamour, couture, and exquisite—sometimes quirky—detailing into unique prêt-à-porter dirndls. 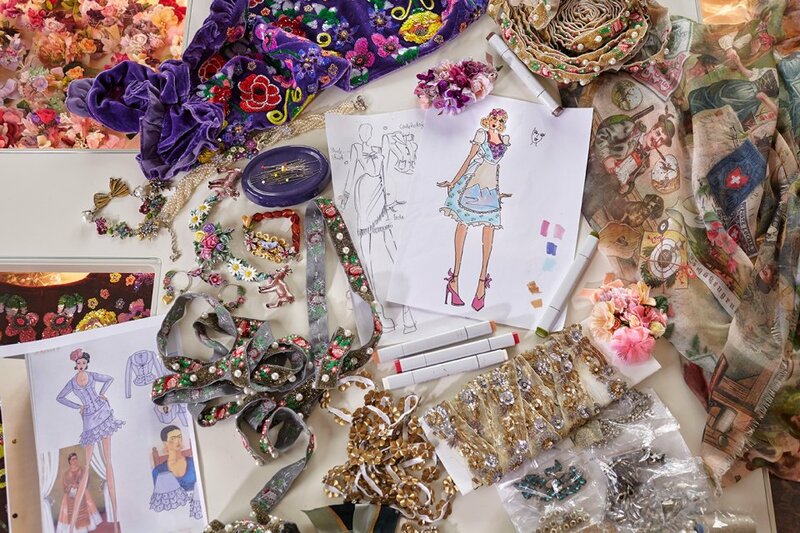 Her spectacular designs have not only won many a German and an Oktoberfest heart, but also taken off in Hollywood, worn by Salma Hayek, Kim Kardashian, and Katy Perry, among others. With their sumptuous textures, intricate details, and whimsical take on traditional dress, the dirndls revel in exactly the kind of playful romanticism, freshness, and joie de vivre that animates von Unwerth’s Bavarian fantasyland. 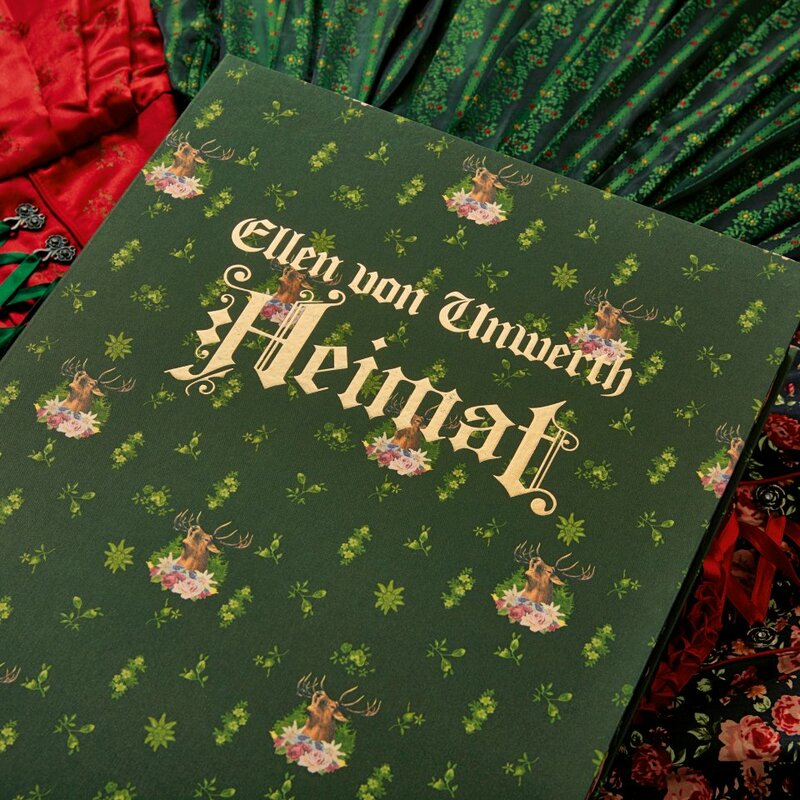 To ensure the book was as well dressed as its gorgeous Bavarian girls, Paltinger then collaborated directly with TASCHEN’s production team to create the fabric for the book’s clamshell box, a rich pine green patterned with flowers and a stag motif—a nod to Bavaria’s deep forests, as much as its hunting traditions. Paltinger’s fabric design for Heimat’s clamshell presentation box.